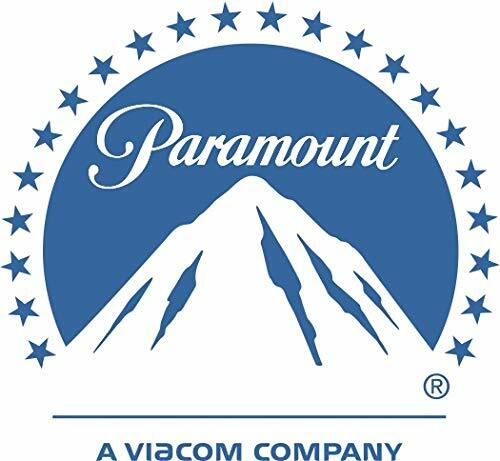 Product prices and availability are accurate as of 2019-04-14 10:22:02 EDT and are subject to change. Any price and availability information displayed on http://www.amazon.com/ at the time of purchase will apply to the purchase of this product. 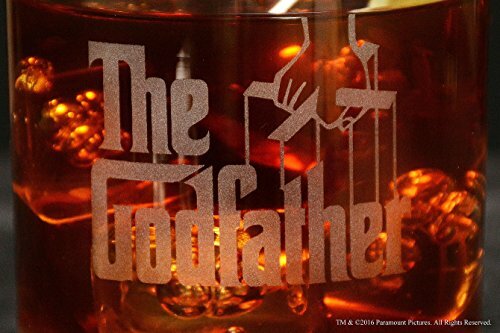 This is the officially licensed premium etched Godfather collectible whiskey glass prominently featuring the Godfather movie logo on the front. 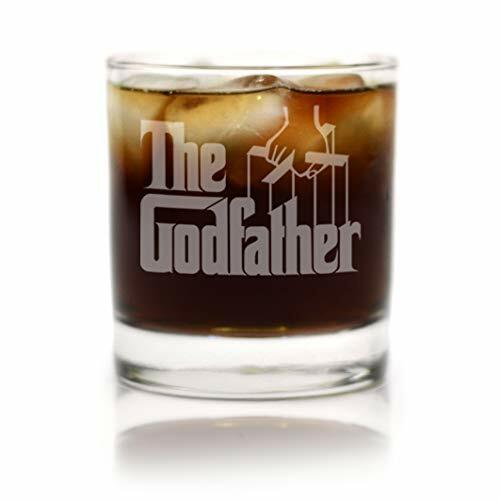 A perfect godparent gift from the godchild to ask, "Will you be my godparent?" in your proposal or formal announcement of the baptism. Also a unique Novelty Gift For Any Occasion a great gift set for baby showers, communion gifts, birthdays, Father's Day, Christmas and so much more. Guaranteed you will love it or your money back. Just Click 'Add To Cart!' The design is permanently carved into the surface using a premier method of sandblasting to engrave even marks that will appear frosted white on the finished product. Each product is hand made by our talented team and individually quality checked before being shipped. 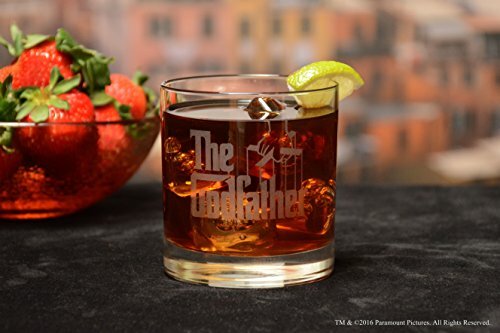 Our glasses are restaurant quality and made by Libbey Glass. They hold 16 ounces (one pint), stand at 5.75" tall and are dishwasher safe. 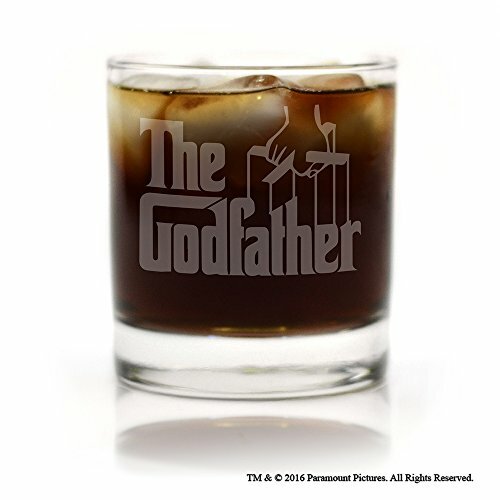 The officially licensed Godfather collectible glass features the movie logo on the front and Paramount Pictures proof of authenticity on the back for collectors. 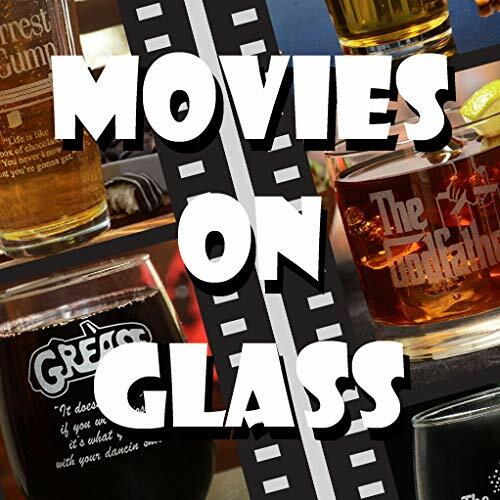 This rocks glass is the perfect gift for movie lovers in your life! Collectible items are the best choice as presents for birthdays, Christmas, anniversaries or other holidays and occasions. Etched design is carved into the surface of the glass in frosted white, making the engraving truly permanent and the glass dishwasher safe. This item is Amazon Prime eligible, which means you can order this last minute and still get your order in time.